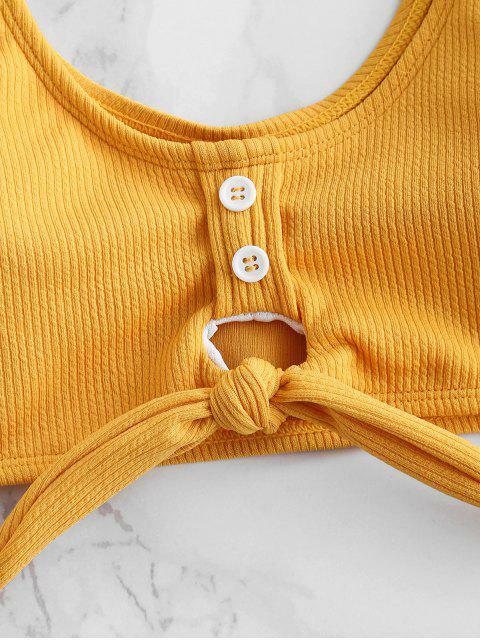 [20% OFF] 2019 ZAFUL Ribbed Button Embellished Keyhole Bikini Set In BEE YELLOW | ZAFUL .. Being skeptical for months, I’m glad I finally purchased this swimsuit. I ordered a medium and it fits great. No where is too tight or uncomfortable. The material is rough but it’s more of a cloth like material. I’m a 34c bra and size 6 in jeans. I weight about 150lbs more athletic build. I was VERY sceptical and watched far to many YouTube reviews before purchasing from ZAFUL but I am Very happy with my purchase. Fits as if though it was custom made for my body. I’m 5’8 139 pounds I got a size small. I went ahead and ordered more bikinis!